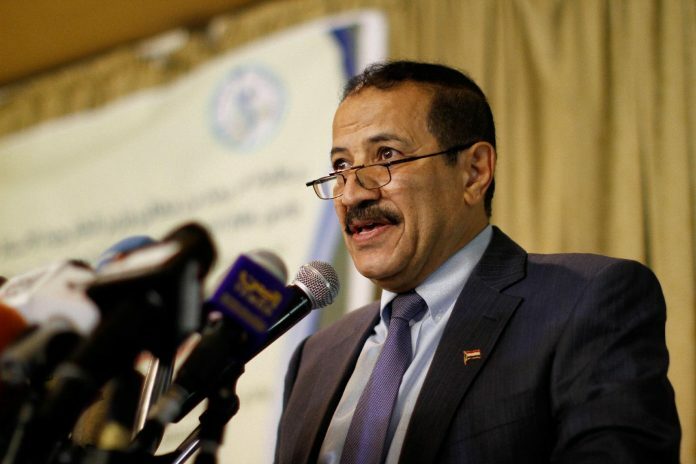 SANAA, April 16 (YPA) – The Minister of Foreign Affairs of Yemen, Hisham Sharaf, has stated that the numerous calls for peace made by the National Salvation Government of Yemen should not be mistaken for a sign of weakness. On the contrary, the Minister said, the calls for peace made by Sana’a stem from a position of strength, and are only made because of concern for the well-being of the Yemeni people. “A just and honorable peace is needed, which unifies people rather than separating them, and achieves stability for Yemen and its people,” Sharaf stated on Friday to Saba News Agency. The Minister furthermore referred to a meeting held on April 11 in New York, were representatives of the Saudi-backed puppet government of Hadi met with UN representatives. According to Sharaf, the fact that this meeting took place in a Saudi-owned headquarters have only further shown to the world that the Hadi “government” is not to be taken seriously as a representative of the Yemeni people. Minister Hisham Sharaf concluded by stating that the meeting in New York also showed once again that Saudi Arabia and the US are the true driving forces and decision-makers behind the war and the obstruction of peace.